Cosmetic Surgery: Love the Way You Look! The good news is that subtle yet dramatic changes in your appearance are easily achievable with non-surgical cosmetic procedures. Better yet, many of these age-defying techniques are affordable and require little or no time away from work or family. For instance, if you have wrinkles and lines around your mouth and nose that make you feel and look old and tired, they can be effectively treated with cosmetic fillers like Juvederm, Restylane and Collagen. Often after just minutes in your cosmetic surgeon’s office, your wrinkles will have disappeared – leaving a natural, fuller, more youthful appearance. You can be back to work the same day and the results will last as long as six months. Perhaps you are more worried about the wrinkles on your forehead, between your eyebrows or around your eyes. These wrinkles can be effectively treated with Botox and Dysport. 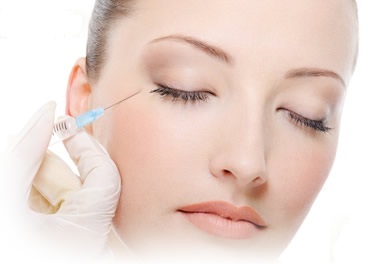 These injectables are proven to smooth away unwanted wrinkles, leaving a more rested and friendly facial appearance. My patients love them! These procedures take only minutes and are very cost-effective. Also, these procedures require no down time from your job or family. You may also be concerned about the loss of volume and fullness to your face. Collagen is a key structural component in the human body that keeps your skin young and smooth. As you age, your body’s collagen production decreases and you start to see wrinkles form. A terrific product called “Sculptra Aesthetic” works to help correct wrinkles and skin folds by replacing lost collagen to provide a more refined, youthful-looking appearance. Sculptra is different because it doesn’t just fill lines; it actually helps replace your own lost collagen and gradually restores a look of “beauty” and “fullness,” which lasts up to two years! If your concerns are more related to troublesome texture and pigment changes in your skin, then you may want to consider a chemical or laser peel. These techniques remove the outer layers of sun-damaged skin and reveal the younger, smoother skin hiding below the surface. My patients are thrilled with their new, fresh look and often appear 10 years younger! We all want to look beautiful. A lucky few of us were born with our faces in near perfect proportion. The rest of us, in the hands of a skilled Cosmetic Surgeon, may also acquire this “golden” balance. Cosmetic surgeons frequently hear requests for Jennifer Aniston’s nose, Angelina Jolie’s lips and Jennifer Garner’s chin. What makes these actresses so attractive, however, is not this specific feature. Rather, it’s how this specific feature conforms and balances with their other facial features. Cosmetic beauty is all about balance. What are the Ideal Facial Proportions? Relational proportion of key facial features is the primary factor when determining a person’s physical attractiveness. 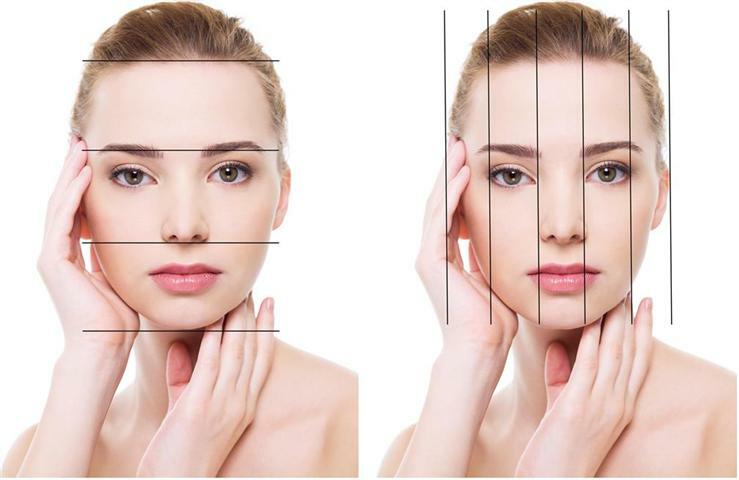 When calculating vertical proportions, the human face can be divided into perfect thirds; the hairline to the corner of the eye as one third, the corner of the eye to the corner of the nose as the second third, and the corner of the nose to the bottom of the chin as the last third. As a Cosmetic Surgeon, I am trained to evaluate the human face and determine how to create the balance and symmetry our society values as ideal. Having said that, it’s still not about the perfect nose or perfect lips or perfect chin. I believe that each and every face is unique. In my experience, the modifications required to create balance are usually subtle, often minor, and require little or no down time. There are many tools available to a skilled Cosmetic Surgeon to improve the harmony and balance you need to look your best. If you want to “love the way you look,” and have an interest in learning more about the options available for your unique facial characteristics, schedule a complimentary consultation with an experienced Cosmetic Surgeon and begin your journey to a more beautiful you! Dr. Robert Alan Shumway, MD, FACS, Director of Shumway Cosmetic Surgery in La Jolla, California, is a Duke University-trained cosmetic surgeon. Dr. Shumway has performed literally thousands of TUBA (TransUmbilical Breast Augmentation) procedures over the past 18 years. 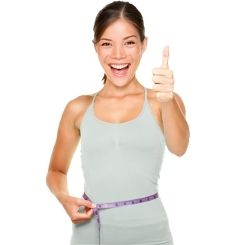 Dr. Shumway also has expertise in body contouring, facial sculpting and skin rejuvenation. For more information on the latest cosmetic surgery techniques, or to schedule a consultation, visit his website: shumwaycosmeticsurgery.com. TUBA: Breast Augmentation that's Clearly Better!